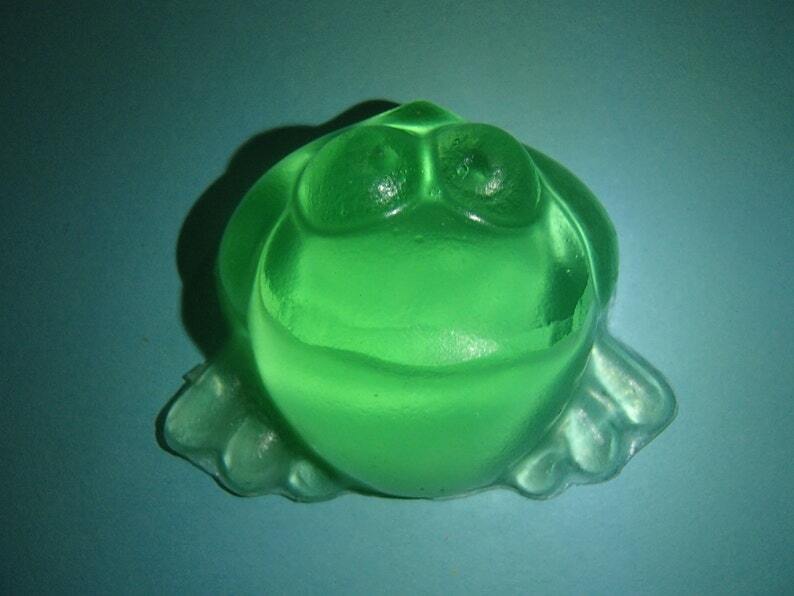 This is for 3 soaps in the shape of a Frog. Each weighs ~0.5 ounces. Each measures ~2 inches by ~1.75 inches and ~1 inch thick. They are colored green and scented Ocean. This soap is great for use in your own bathroom or a guest bathroom, especially great for encouraging kids to wash their hands or take a bath. It also makes a good party favor for frog or Princess and the Frog themed parties. They are so cute. Shipping was quick!